Visit tedcruz.org and betofortexas.com to volunteer. Neal Dikeman (L) is also running. Due to limited space, we can only include candidates who poll 15% or higher, but encourage you to check out his website. To download a printable pdf version of this guide, click here. Beto O’Rourke – Legal. Ensure abortions are rare, but trust women to make their own decisions without government interference. Ted Cruz – No. Opposes DISCLOSE Act, as it raises “grave constitutional concern for speech protected by the First Amendment.” Supports Citizens United as aid to 1st Amendment free speech protections. Beto O’Rourke – Yes. Co-sponsored DISCLOSE Act to “shine light on the unlimited, secret spending flooding American elections,” including foreign influence. Supreme Court should end Citizens United. Ted Cruz – No. Doesn’t believe it’s real. Says data disproving it is being ignored as liberals want government power over economy, energy sector & all aspects of our lives. Beto O’Rourke – Yes. “Crucial now more than ever that US & world leaders act urgently to address” it. Climate change increases droughts, wildfires, hurricanes, & other disasters. Beto O’Rourke – Limit greenhouse gases. “Need to take unprecedented action” in building clean energy economy. Opposes withdrawing from Paris Accord. Contraception: Employers can withhold contraceptive coverage if disagree? 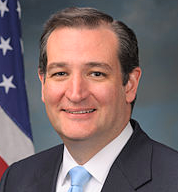 Ted Cruz – Yes. Proposed bill to allow that. Beto O’Rourke – No. Discriminates by ignoring contraception’s role in women’s health. Ted Cruz – Yes, though initially believed Kavanaugh was not conservative enough. Beto O’Rourke – No. His positions do not line up with values & interests of Texans. Ted Cruz – No. Choice between more & more spending & individual liberty. Beto O’Rourke – Yes. Supports investment in areas like infrastructure & education. Economy: Support Trump’s imposition of tariffs on steel & other products? Ted Cruz – No. Also opposed federal aid given to TX farmers hurt by trade retaliation. Education: Help parents send their children to private schools with public money? Ted Cruz – Yes. Called “civil rights issue of our time.” Introduced bill to allow tax deduction for costs of private & religious schools. Ted Cruz – No. Political gerrymandering is legitimate, though not racial gerrymandering. Ted Cruz – No statement found, but opposed Obama EPA’s Clean Power Plan & said EPA ran amok under Obama. Ted Cruz – No. Sponsored amendment to define marriage as between man & a woman. Beto O’Rourke – Yes. Supports universal background checks & banning assault-style weapons. Ted Cruz – Absolutely repeal. Caused millions to lose their jobs, be forced into part-time work, lose health insurance & doctors & pay skyrocketing premiums. Beto O’Rourke – Keep but improve, including public option. Repeal would reduce healthcare access & benefits, make health insurance less affordable. Healthcare: Let Planned Parenthood get public funds for non-abortion care? Ted Cruz – No. Was willing to risk a government shutdown in in order to defund. Beto O’Rourke – Yes. Provide important preventive services, esp. for low-income families. Immigration: Support path to citizenship for “DACA” recipients or “Dreamers,” who grew up in US after coming as children? Ted Cruz – No. End DACA. No path to citizenship to Dreamers or anyone else who violates immigration laws. Beto O’Rourke – Protect Dreamers. “As American as my kids… & have done everything we’ve asked of them.” Supports earned path to citizenship for millions here illegally. Iran: Support Trump’s withdrawal from treaty that limits Iran’s nuclear capability in return for lifting economic sanctions? Ted Cruz – Yes. Applauded withdrawal, saying agreement didn’t sufficiently rein in Iran’s nuclear program. Ted Cruz – Personally opposed to legalization, but states should choose for themselves. Beto O’Rourke – Yes. Long-time legalization advocate. Sponsored bill to end federal prohibition. Minimum Wage: Raise the federal minimum wage from current $7.25/hr? Beto O’Rourke – Yes. Supports increasing to $15/hr. Net Neutrality: Require internet providers to provide equal access to all? Ted Cruz – No. Net neutrality puts government in charge of pricing, products & services. 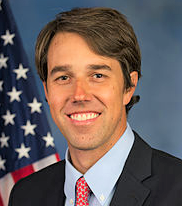 Beto O’Rourke – Yes. Rolling back net neutrality hurts democracy, the arts & innovation.